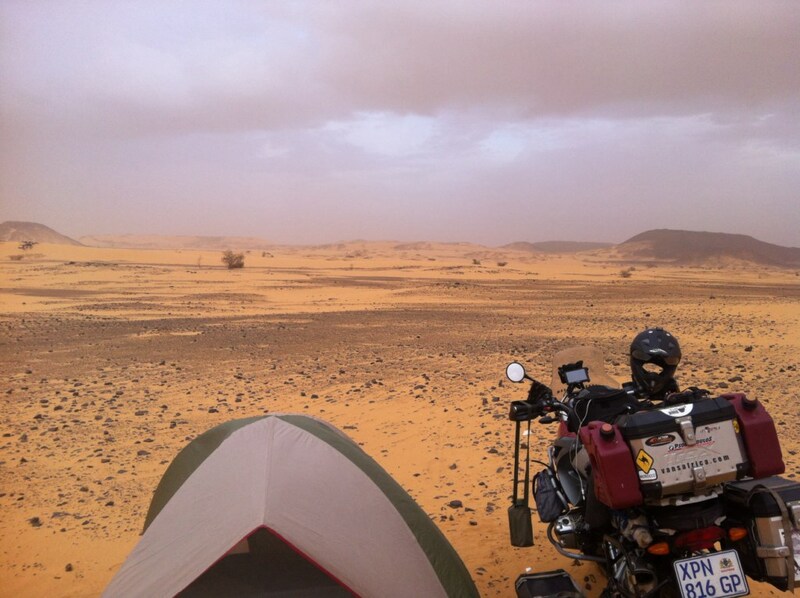 I have been thinking a lot about the journey and my experiences while riding through the desert of Sudan(there is not much else to do). I have also been trying to spice up my blog with a more positive view of things. I feel that I sometimes write a lot of negative stuff about a place or experience when I should rather be more like a Lonely Planet writer, smile and tuck the negative vibe in my pocket. After some serious thought on the matter I thought NOT! Its the world I ride through. Sure, my views and my experiences will differ from the next guy, but its important that I don’t just smile and wave and write about how the poor people’s begging eyes touch my heart… Sometimes they do touch my heart and sometimes they don’t. The latter being more than often. Its not because I don’t feel sorry for them but maybe because when I see a fat person asking for money I tend to ask myself if he is hungry or if he has learnt a culture of begging. 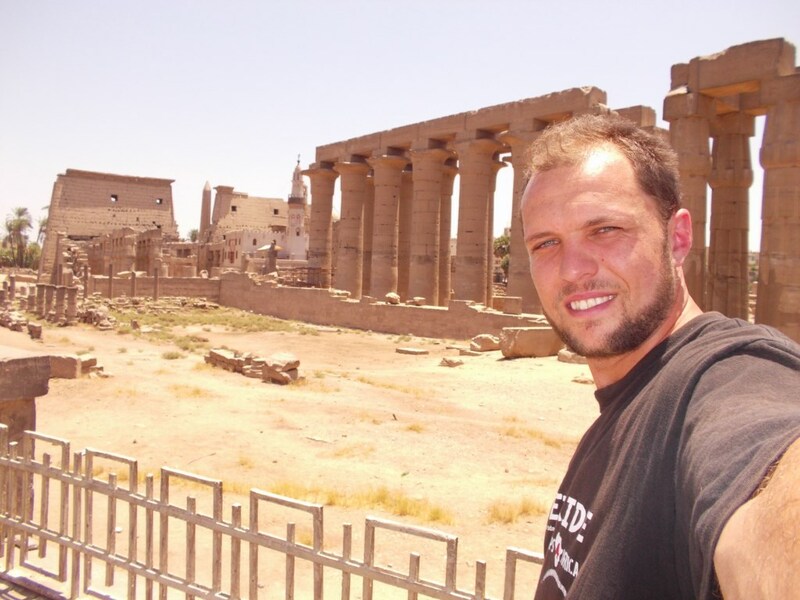 That the western tourist has money… Either way I try and write a true account of what I see and feel during my trip and how the genuine people have changed my life and my view towards my life I have back home in SA. 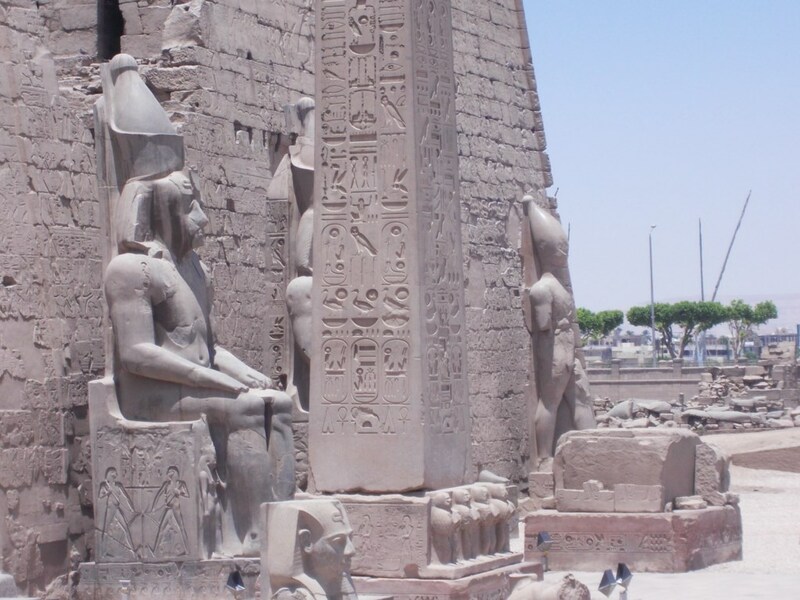 So back to business in Luxor Egypt. I spent my last day in Luxor checking out some of the sights, washing the bike and just doing some odd’s and ends all around. 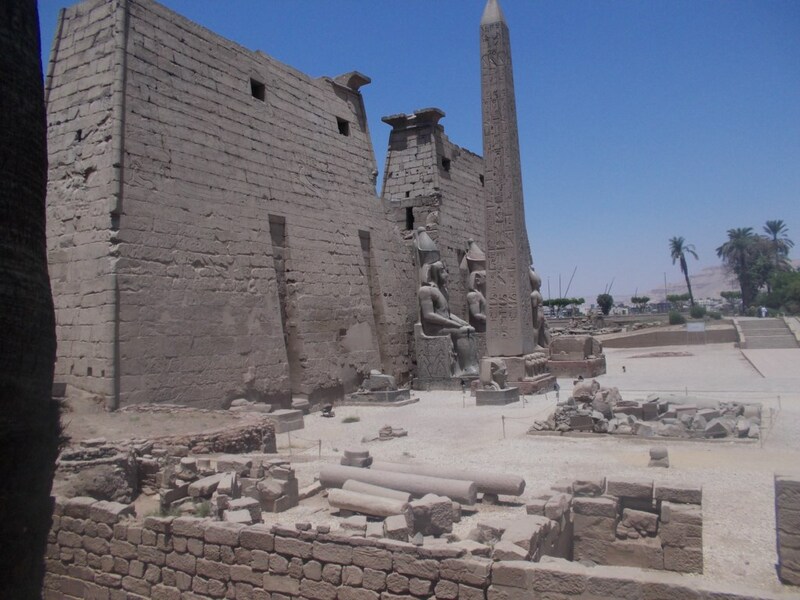 I had a good time in Luxor. I also met a couple travelling north, back home in England. We had a good chat about the route lying ahead for me and the dangers that await me. We then decided to wash all that info down with quite a few beers. 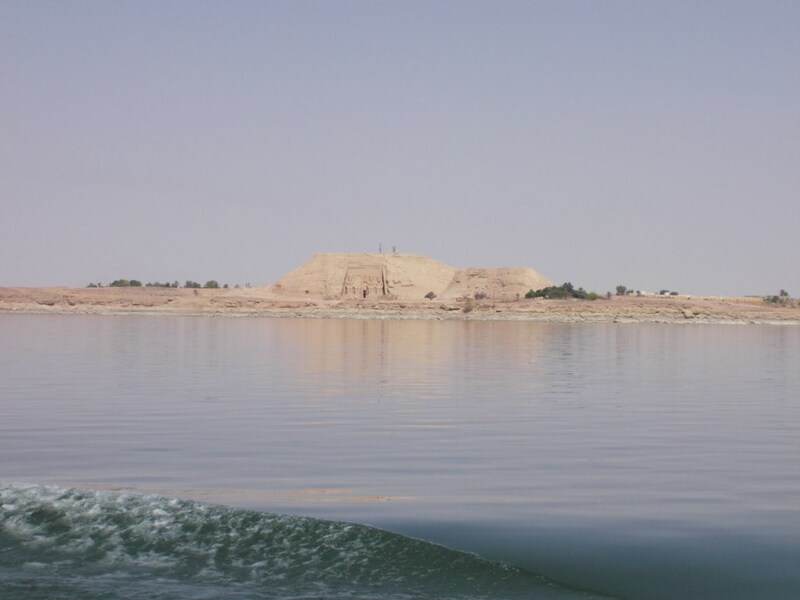 I was well aware that I would only get 4 hours sleep before I had to get back up and head towards the southern town of Aswan to proceed with all the arrangements for the “dreaded ferry”(tense music) to Wadi Halfa. 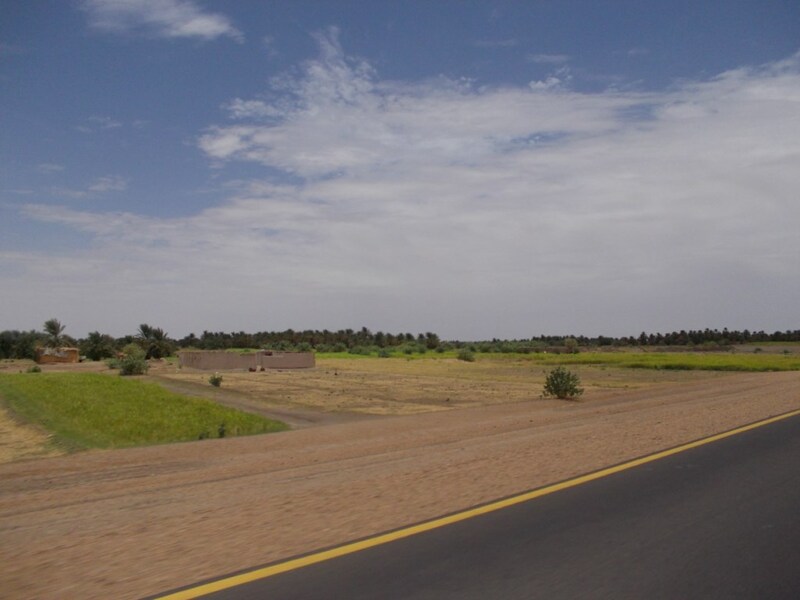 It is a slow 2.5 hour drive to Aswan as there are speed humps every 2/3 km and throw in a whole load of unmanned police check points. 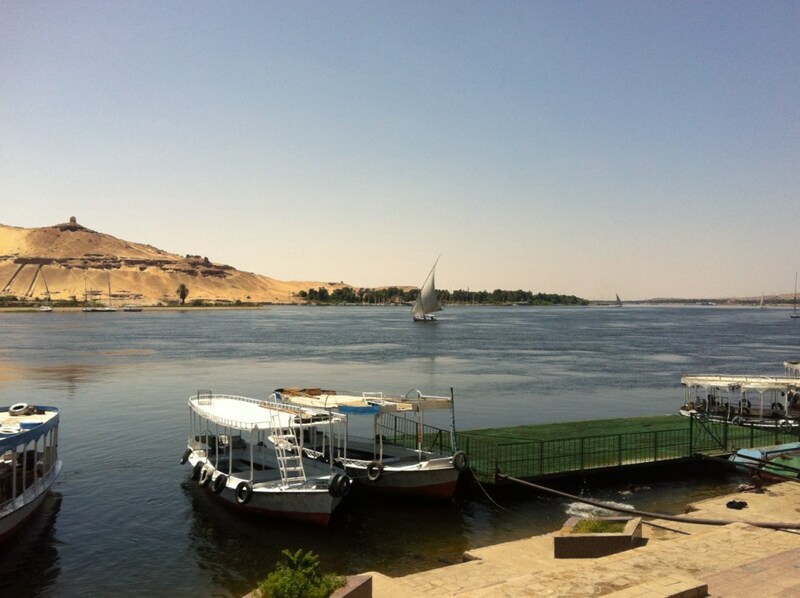 After reaching Aswan at 9am I headed for the Ferry companies offices and went to see Mr Salah. 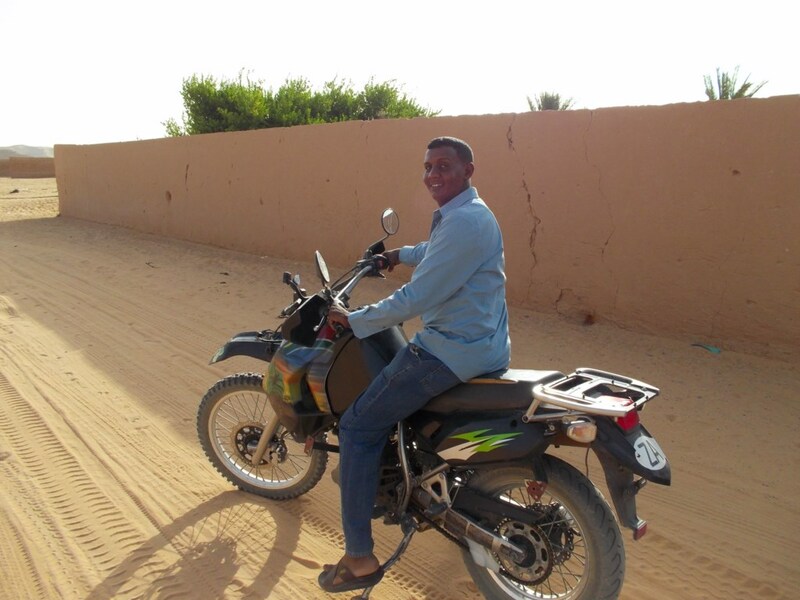 He gave me all the GPS waypoints for the various offices where I had to go and get my bike’s paperwork sorted out to leave Egypt. Strange how they have so many rules for a foreign vehicle but it’s quite a lawless place to drive around in. TIA. I started by going to the traffic court. I had to get a piece of copied paper that states that I had no traffic offences in Egypt while I was driving through. After some help from a kind gentleman I got my piece of paper that said I was no risk to the State of Egypt and that I didn’t commit any traffic offences. Whatever! I skipped so many red lights, drove on so many pavements and went up the wrong direction of the road so many times I lost count. But I was just driving like the locals so I guess that’s ok then. After the court I had to go to the license department and do something there. Not quite sure what I had to do there, I asked a local government employee that worked there… He didn’t know either so I was quite stuck now wasn’t I! After some sign language and sloooow English I was handed a phone and it was Kamal on the other line. He was a fixer that came highly recommended from other travellers. He met me 10 min later and said he would charge me $30 to do everything for me. I said sweet and he instructed me to wait at the hotel and be ready at 9:30am. I had the afternoon off and went for a stroll. The next morning I was ready at the given time and so was Kamal. We headed for the port and after arriving he told me to sit underneath the tree while he ran around doing all my paperwork for me. I have never used a fixer but I was so glad after 4 hours of watching him run around and sweating his arse off. After all the formalities where done I was told to wait at the bottom of the dock until they called me to load the bike onto the barge. 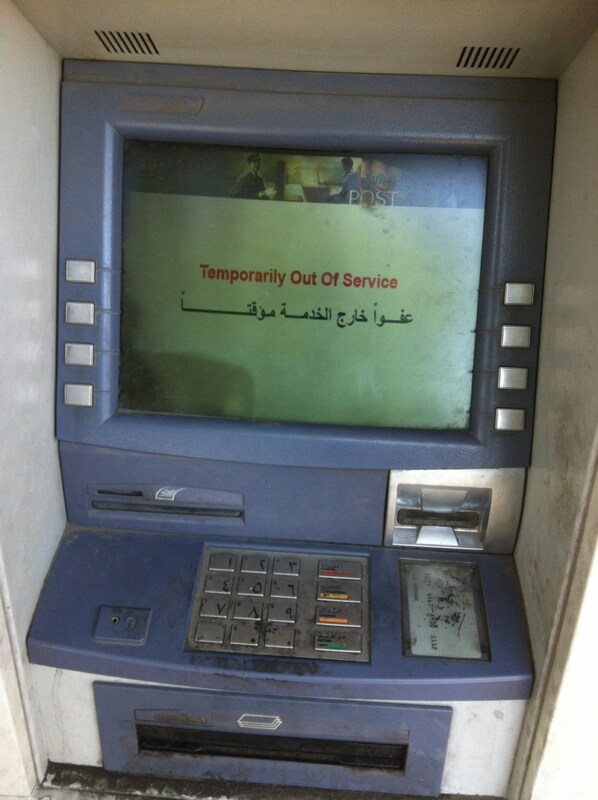 To some up my time in Egypt I will refer you to the picture of this ATM. 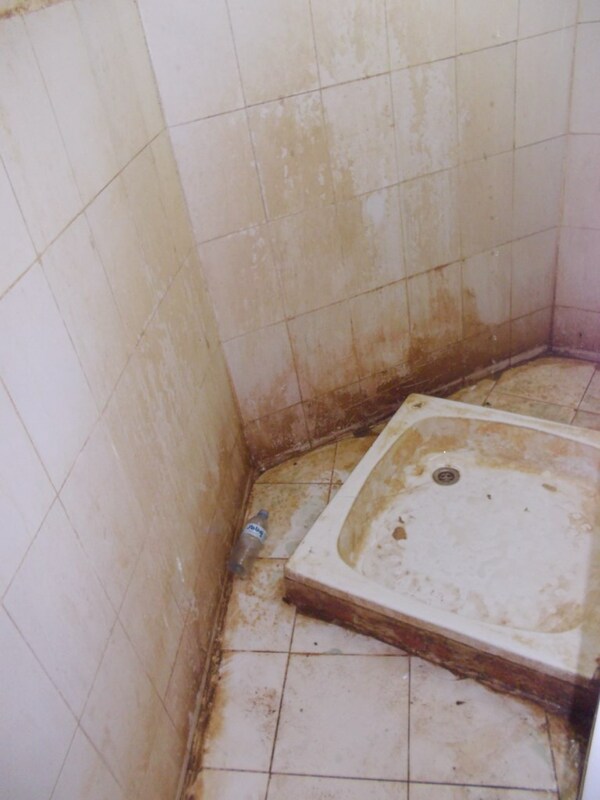 Egypt is broken, dirty and out of order. Its got no cash and who knows when it will have some. Most people are thieves/cheats except the ones who don’t make a living from Tourists. Its not quite as bad as I make it out to be but looking at the mess its in it will take a long time to repair itself. Lets hope is does soon! Inshalla! Hours passed while I watched the seeming endless cargo being loaded onto the ferry and barge. 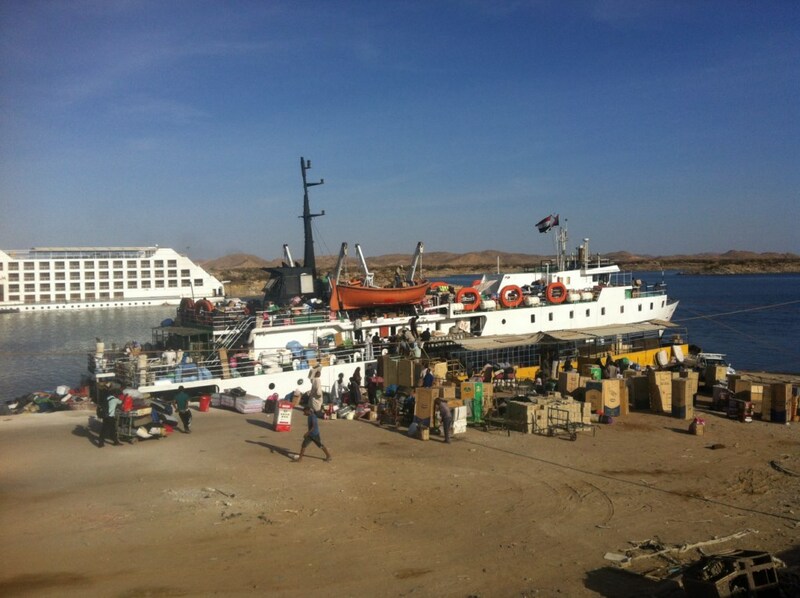 Its a major day in Aswan as all the Sudanese buy goods in Egypt and then transport it back via the ferry to Sudan. 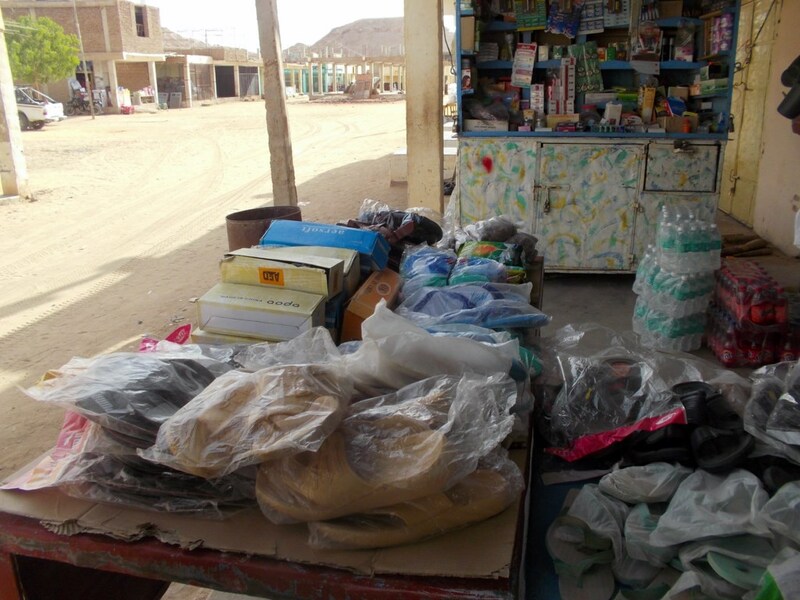 Its all types of goods, clothing, shoes, fridges, printers etc. I also saw so many fist fights break out between Egyptians and Sudanese people. The reason yet wasn’t clear but from what I could gather is that the Sudanese are well behaved and well mannered and the Egyptians are not. So the fights all seemed to be about the Egyptian just walking over and throwing the other persons goods around. After 6pm I was called to load the bike. I loaded and was the last person to board the ferry. That meant two things. I was the last to board and I would also be the only person on the ferry without a spot to sleep on deck. Following the footsteps of the other travellers. 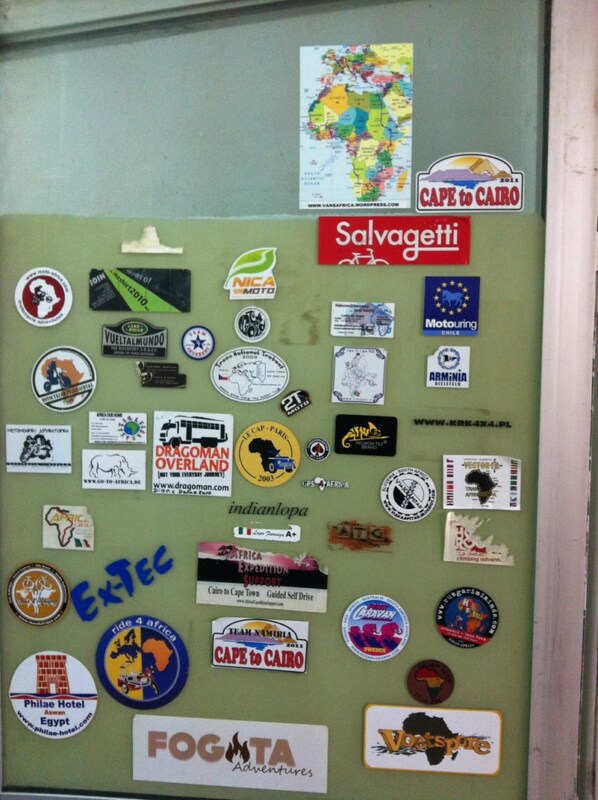 Voetspore bottom right and Lodie De Jagers 2 stickers in the middle. 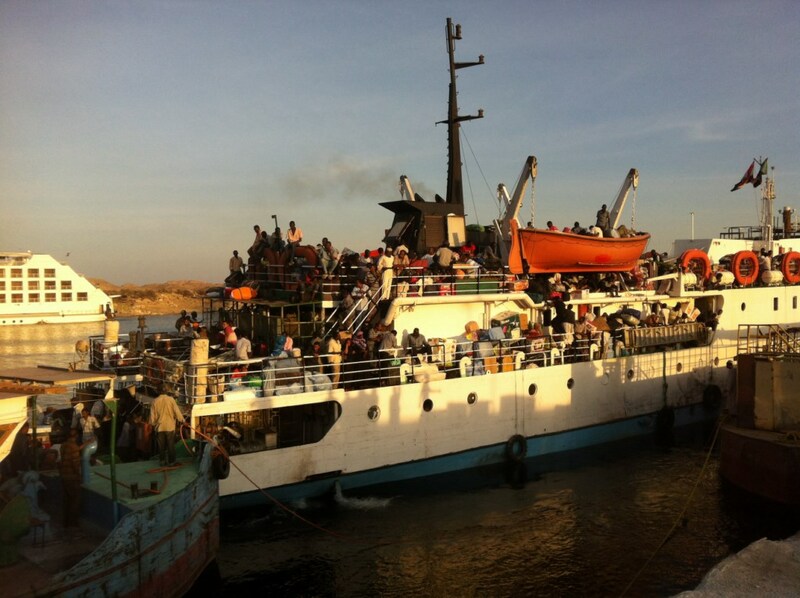 The Infamous Aswan-Wadi Halfa ferry. The deck space was not existent. The only way to get to the otherside was to walk over people and their stuff. I must have walked 30 meters without touching the steel deck once. It was going to be a long trip. My spot 30cm from the edge of the boat, no rail to stop me from falling 5 meters high and over board. After I couldn’t fall asleep due to the fact that I was scared shitless of falling into the water while sleeping, I managed to get a spot between the old bread and cockroaches on top of the saloon’s roof. It wasn’t the best night’s rest but it was so awesome. I listened to music and watched all the shooting stars under a full moon. The next morning I woke up and got this pic. 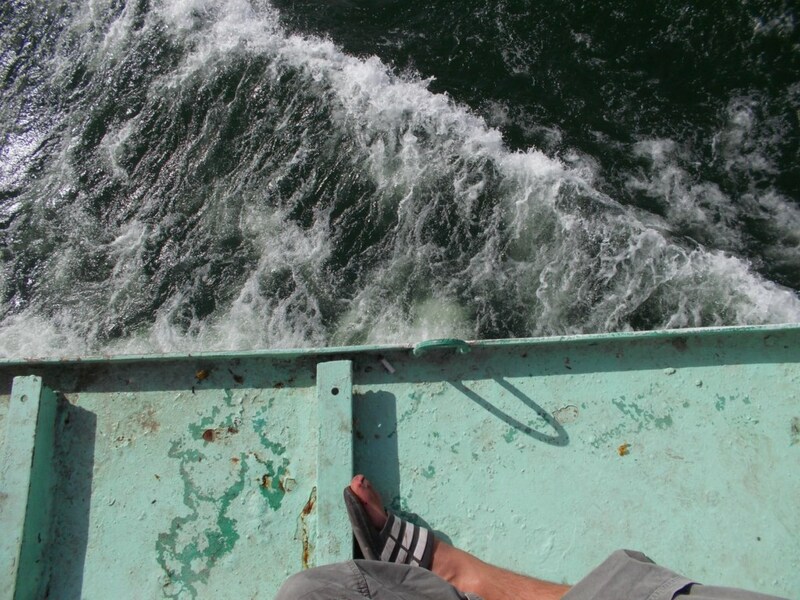 It will always remind me of the emotions of the ferry trip. 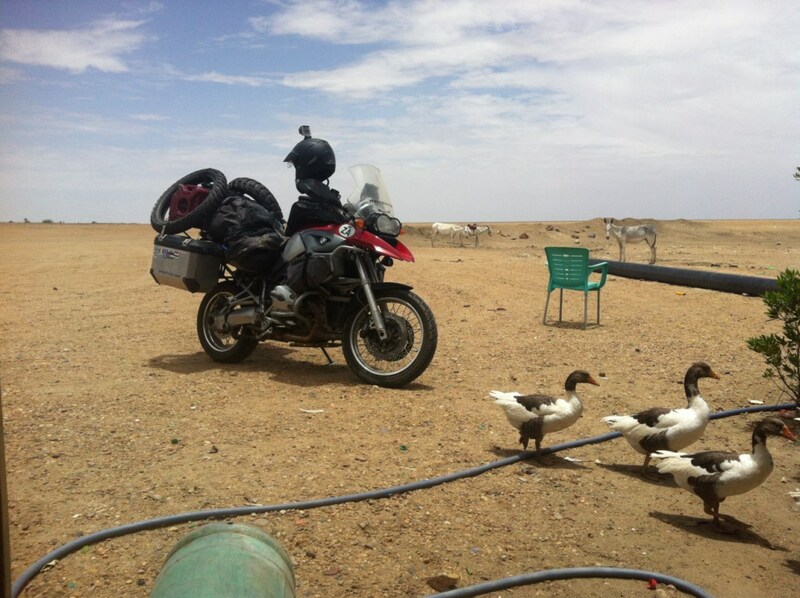 I got breakfast onboard and a few cokes to help me until we reached Wadi Halfa. We also passed Abu Simbel. I thought it was much bigger. But nonetheless cool to see. I went down stairs after immigration tried to be as serious as possible in my questioning. It was utter chaos. 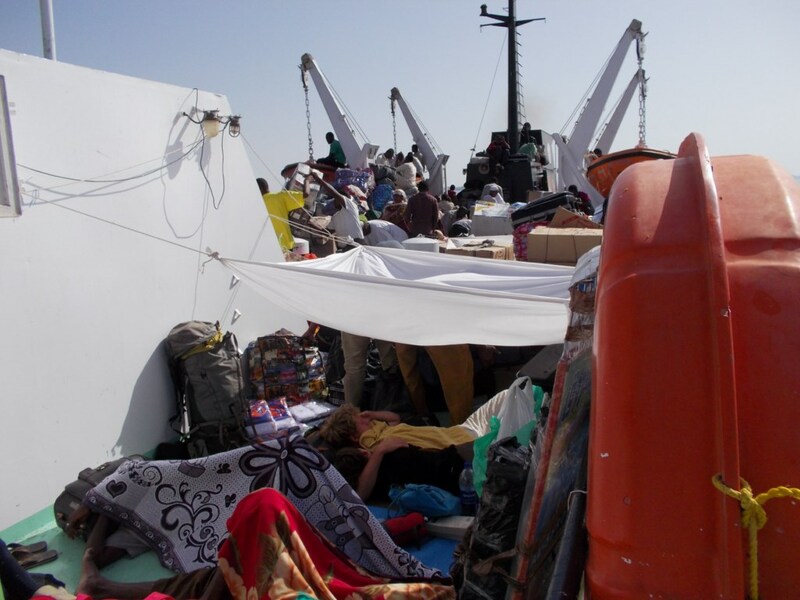 People fighting, pushing, screaming to get off the boat. 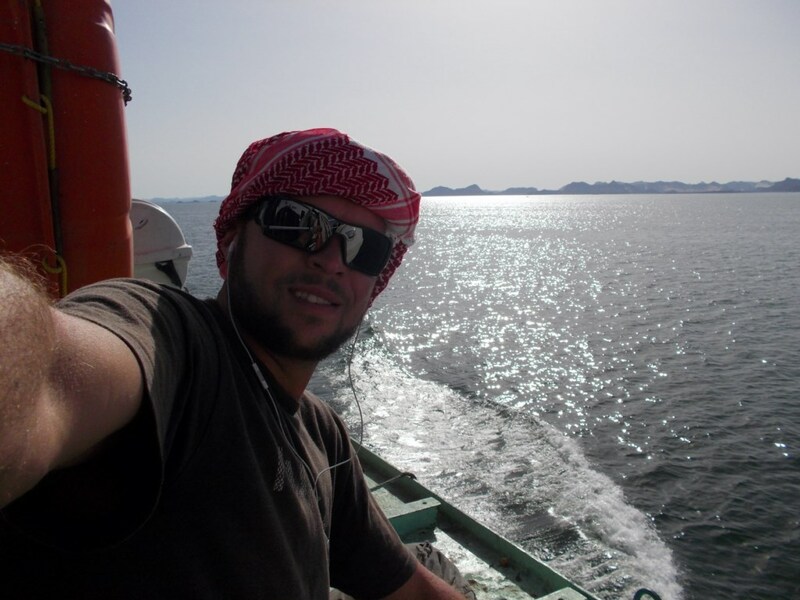 Out of no where a chap grabbed my hand and said “Hi I am Mazar, I came to get you off the boat”. 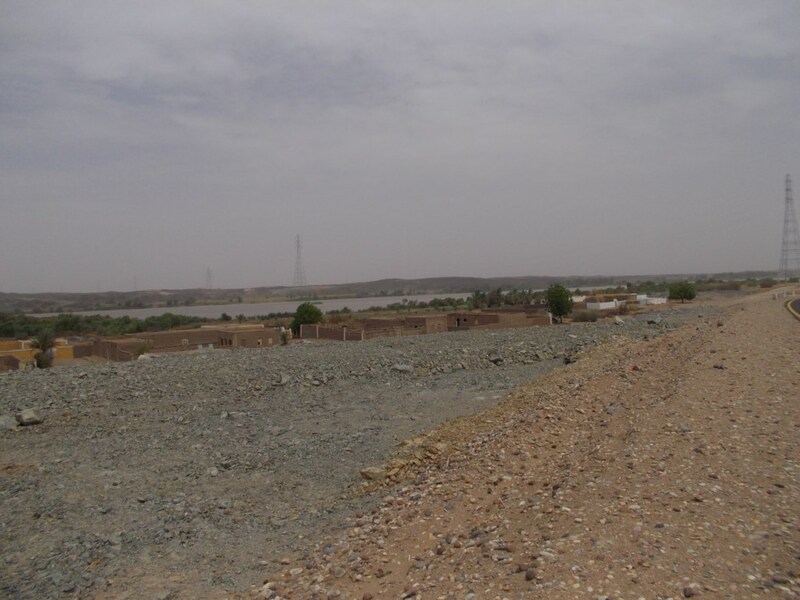 Mazar was the fixer on the Sudanese side that Kamal(Aswan) arranged to meet me in Wadi Halfa! He immediately asked if I would like to go to a hotel or to stay at his home. I opted for his home. The Sudanese were so friendly from the word go. They offered me a chair to sit on in a overcrowded bus and everyone was just “Welcome” “Welcome” “Welcome”. A great reception in Sudan. Walking through town you can see all the goods from the ferry displayed for sale. 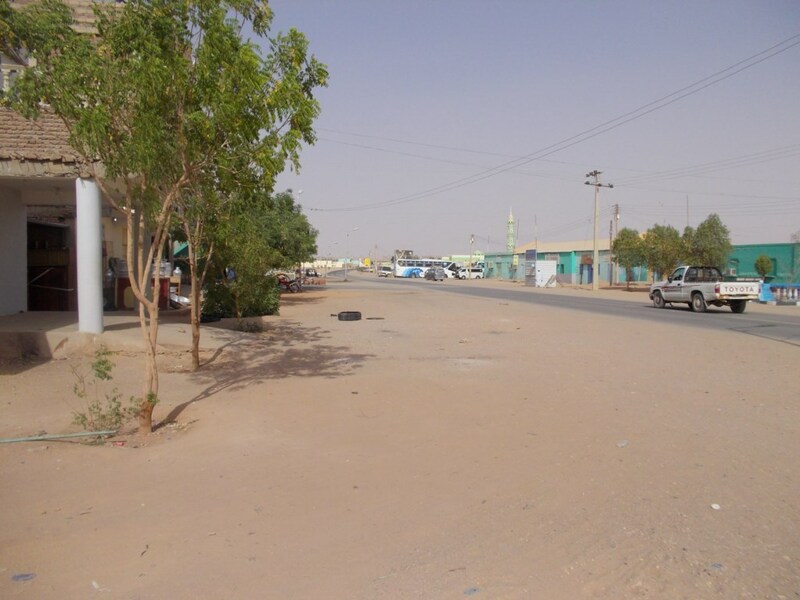 My time in Wadi Halfa was so nice. I got invited to break fast with the locals every night. They would supply me with amazing food and even better fruit juice. Every night a small boy would be assigned to look after me, the white guy. The boy would make sure my glass was full and also that I got to taste everything that was on the menu. 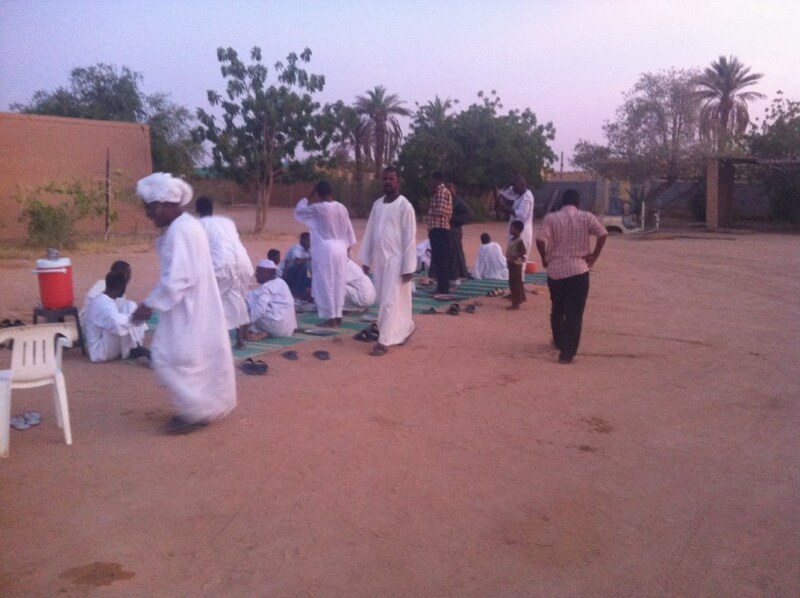 After about 30min of eating I would quietly go to one side and watch them pray and say thanks to Allah. After prayers tea was served. 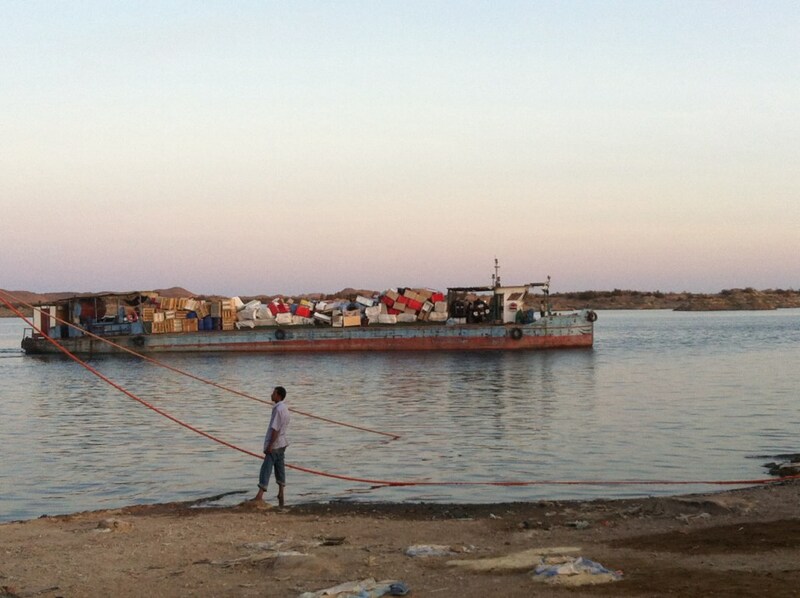 After almost 3 wonderfull days in Wadi Halfa the barge arrived with hopefully my intact bike. 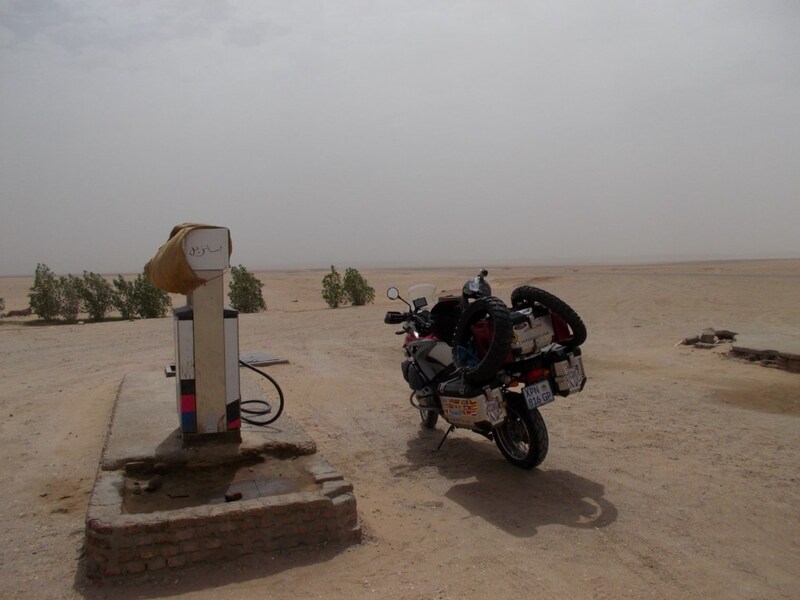 I joined Mazar on his present, a 2007 KLR 650 given to him by a South African guy who couldn’t get into Egypt. When I asked Mazar how the hell this happened. He simply said: “He liked me and said that the bike is old and I could have it as shipping it back to SA would be to much of a hassle”. Nice! 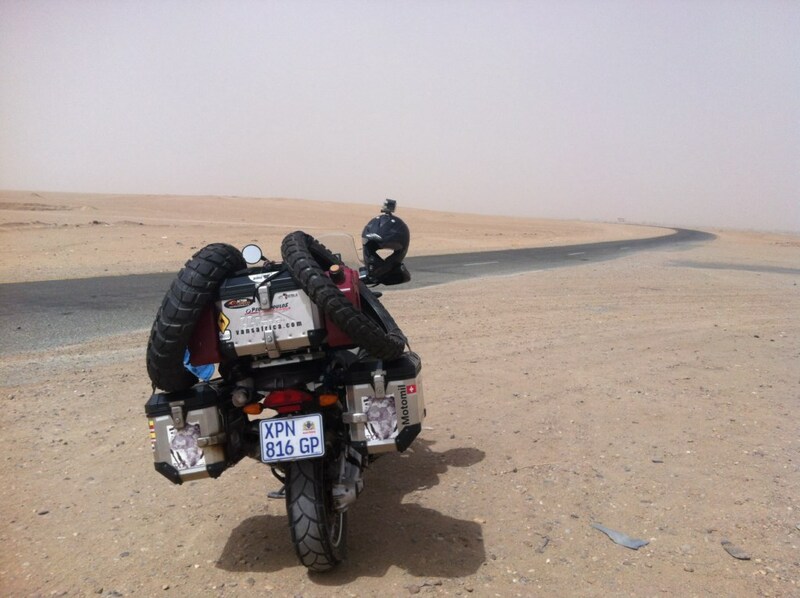 We went to the port and did all the formalities and before long I was back on my steed. 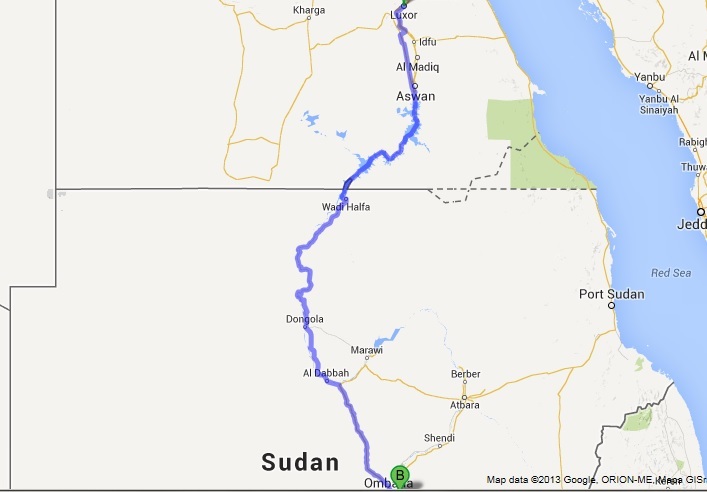 I left the next morning and headed south towards Khartoum. It would be a 2 day journey over the next 1200km. 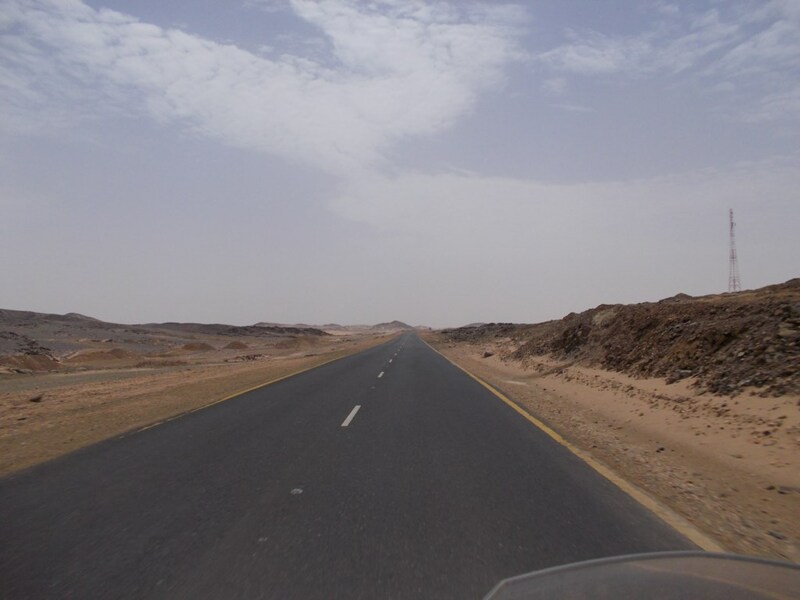 It was just desert and good tar road all the way! 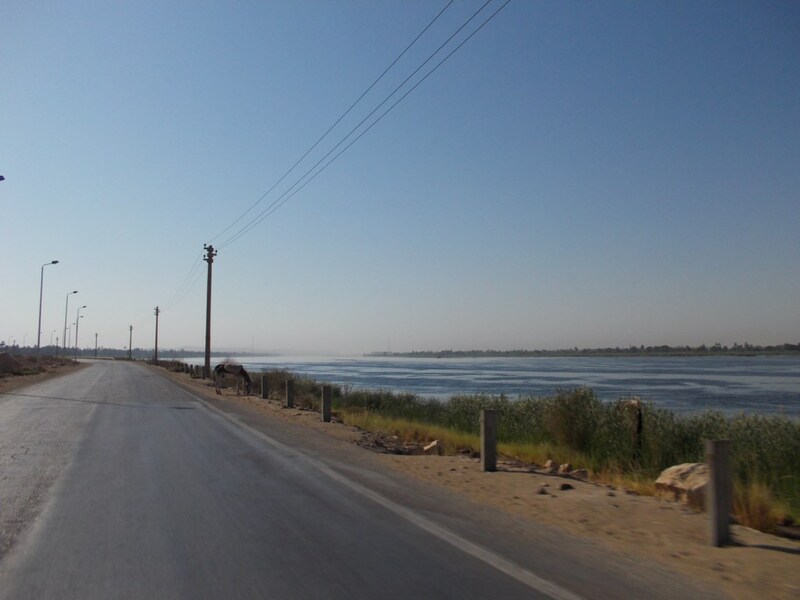 Riding alongside the Nile I saw many small villages with farms being irrigated by the Nile. I stopped for some pics. Petrol was easy to find every 300km. 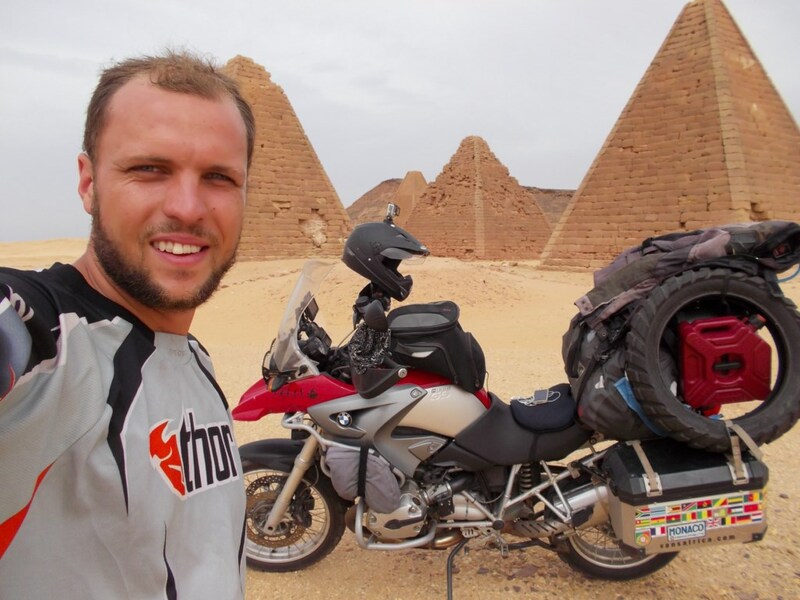 After a long day in the saddle I found some Pyramids and got my well deserved pics. I opted for a bush camp as it has always been a dream while planning this trip to sleep in the desert. I did so even though I saw various clouds build up around me. I mean its the desert, it doesn’t rain here??? 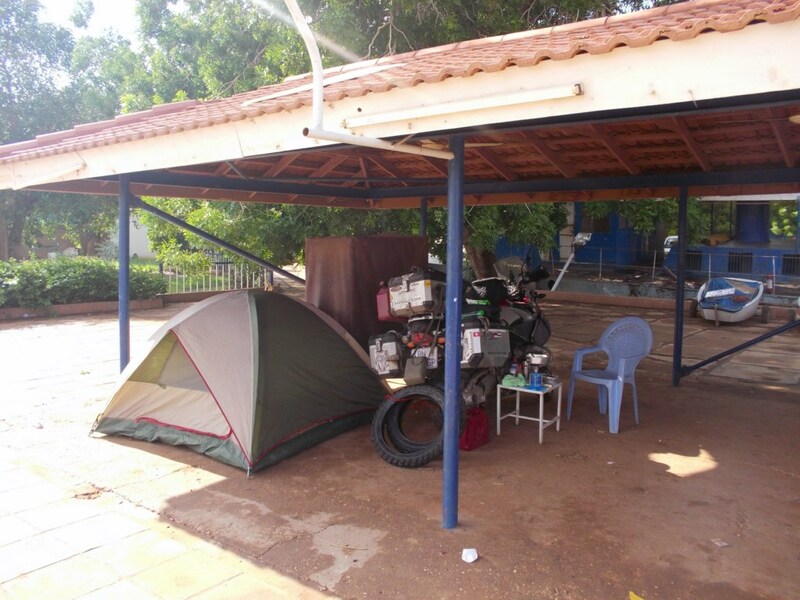 After what felt like the longest night ever in a small tent being thrown around by the strong wind and getting soaked from the torrential down pour I was ready to tackle the last 350km to Khartoum and the “famous” overlander campsite the Blue Nile Sailing Club. 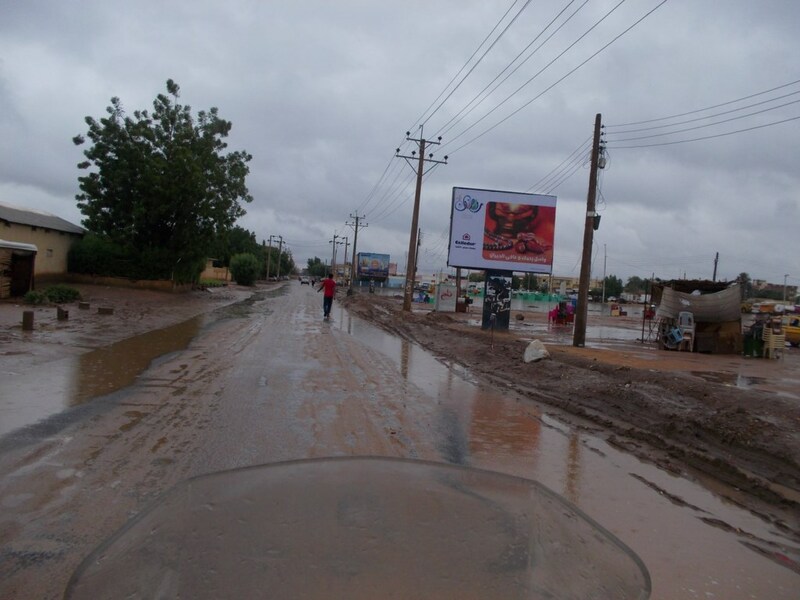 Arriving in Khartoum was a wet affair and I could see that Khartoum doesn’t quite now how to handle the rain. 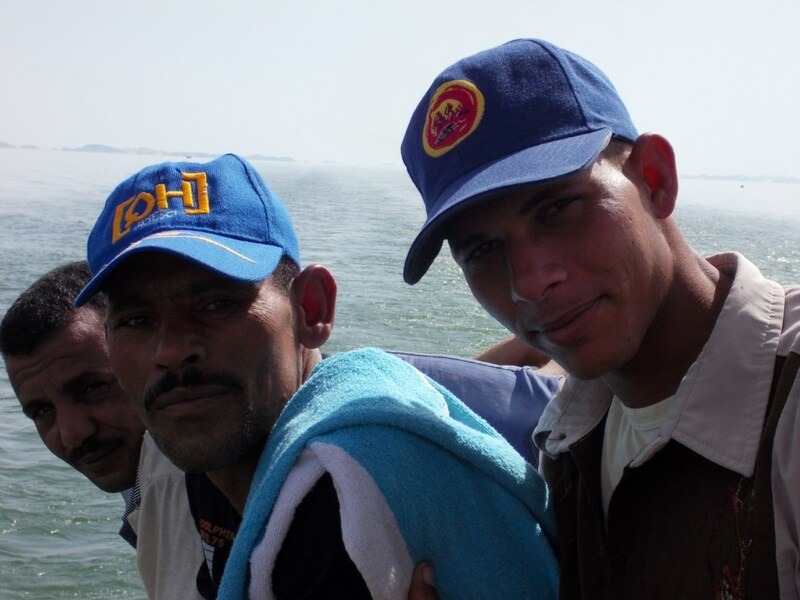 The Blue Nile Yacht Club. 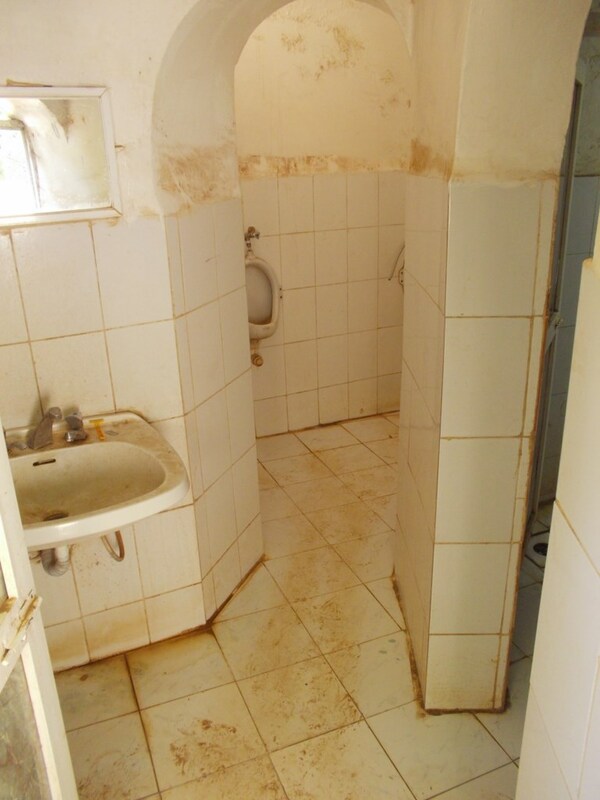 The charming toilets that we have. I am joined by a couple from Holland. 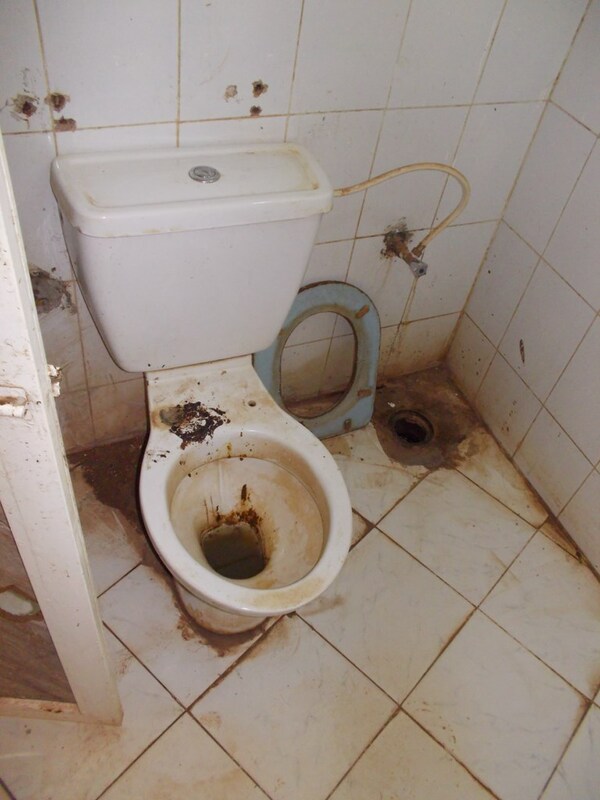 Its really bad when you first arrived here but its next to the Nile and it grows on you after a while. Tommorow I will go see a man about a visa for Ethiopia and hopefully by Monday I will be heading south again. See you guys in Ethiopia. Hey riaan!!! What a story. So glad your are having a good time and am safe. The photos are great. Glad to see you had your evening camp in the desert. Not to speak about the landy’s all lined up to welcome you. Only landy guys are so friendly! Hell but the ablutions are nice. Colour coded tiles, basin, shower. Oh, and almost forgot the toilet. Typical africa. No toilet seat! Enjoy the rest of the journey! We miss you back home. Drive safe and God speed!! Hahahaha dis vrek snaaks. Ek weet net nie of my rug dit sal maak nie! volg en saam met jou ry geniet die paaie suid,het twee broers wat in Zambia boer laat my weet hoe jou roete gaan wees . love these updates, Riaan. great adventure.glad you got the pyramid pics. they also look awesome – i did not know Sudan also had pyramids. 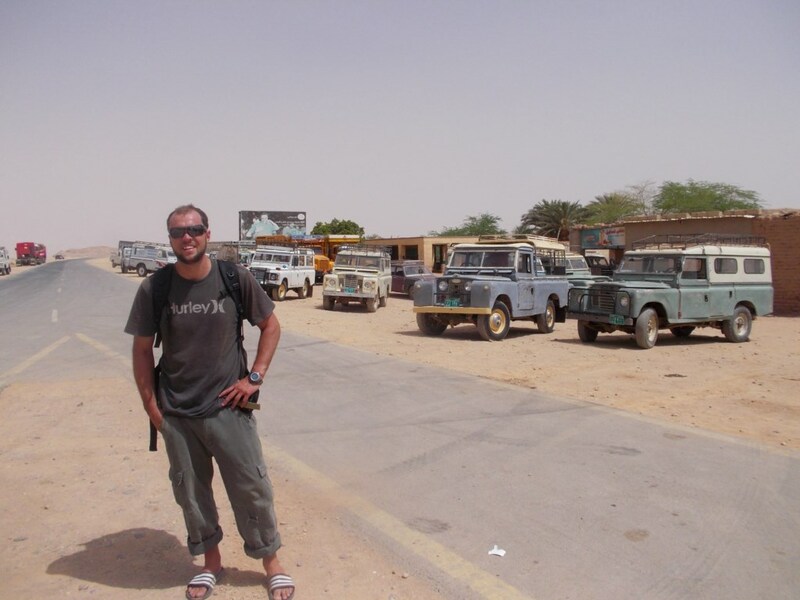 We have been following you for some time as we are preparing an overland trip from the Netherlands to South Africa (see http://www.DeEinderVoorbij.nl – in Dutch, but you’ll be able to read it). How did you manage to get into Sudan after your visits to Israel? We had understood that one doesn’t get into Sudan if there is any evidence of having been in Israel. Immigration officials don’t just look at Israelis stamps in your passport, but also if your port of entry into Jordan or Egypt is an Israeli border. 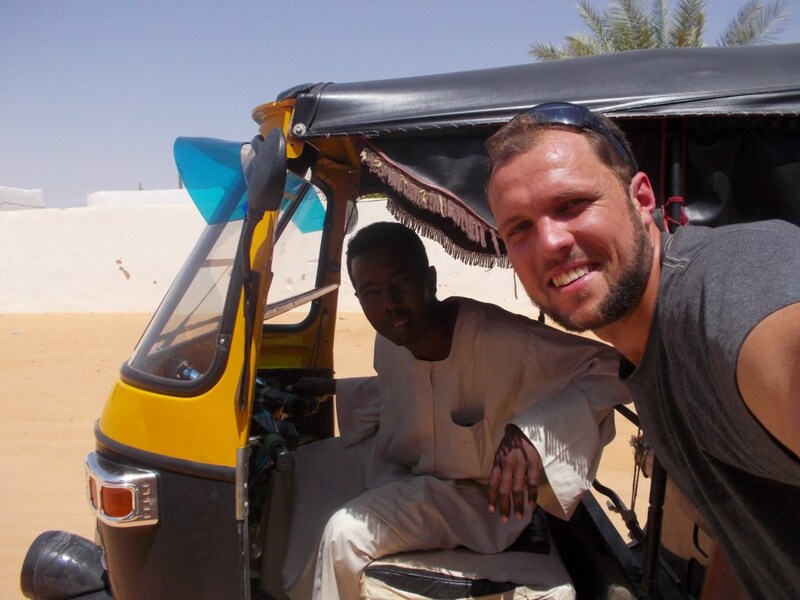 Hi Jan, I got the visa for Sudan in London so I had it long before the time. I have 2 passports so the Isreali stamp was in the one without the Sudan visa. But if you only have one passport insist when you arrive in Isreal that they stamp a copy of your passport and document all vehicle details outside your of your passport. My honest opinion is that if you have the stamp and you arrive in Sudan, they wont see it, even if they do see it you simply tell them that you where only in transit. 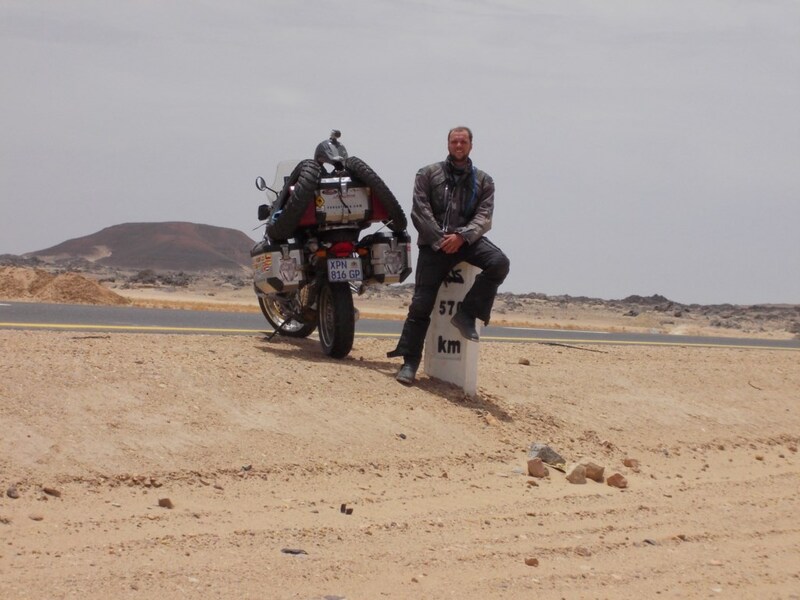 Fellow biker Lodie de Jager documented it on his blog as he had a Isreal stamp and they asked him why and he explained and they were happy to let him in. I will follow your trip with interest! Hello Vonnas!!! Dis nou lekker om van jou te hoor! Ek sal ek belowe! Ek hoor julle troue was soos n sprokies verhaal! Eks so bly vir julle! Dankie vir die support babe! 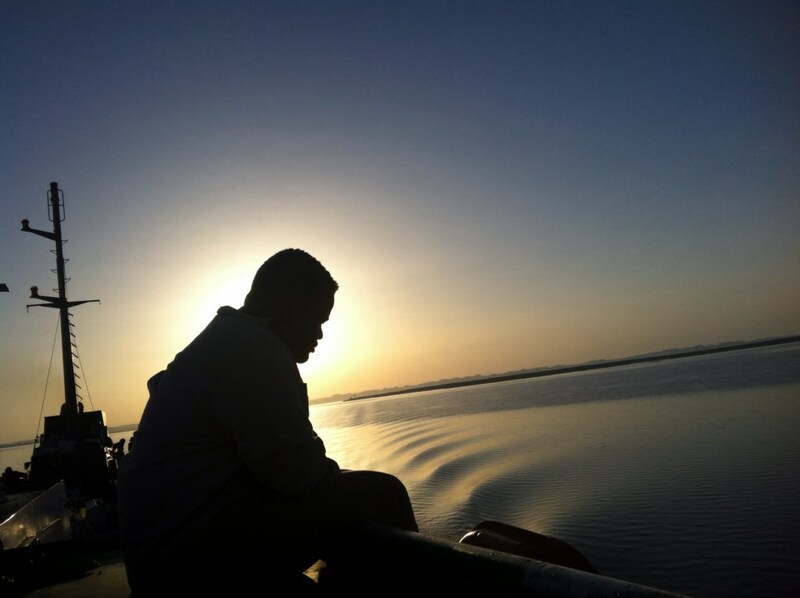 Day by day you are getting closer to Kenya…..welcome. Hope I will be on leave while you are in Nairobi. You are most welcome for lunch and beer. Hi Joe, thats great! Please send me your email so that I can touch base when I arrive. Ja nee dit was my skool gewees. Laat weet as julle iets reel eks altyd daar! Nice to meet you! Will come and say hi when I am back!